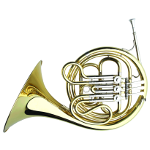 The Bb Piccolo French Horn is an fun instrument for beginners, right the way through to professional players. Lightweight and compact in design, this horn is ideal for those wishing to do an extra bit of practice whilst away on holiday. Cannot comment as I still haven’t received my horn.